Share the post "How to Not Resort to Sandwiches When Cooking for One"
Admit it: you think it’s hard cooking for one don’t you? Yeah, it’s easy to grab some take-out, or even prepackaged dinners, but doing this on a regular basis will hurt your budget and your waistline. It doesn’t matter where you live or how limited your budget is, you can cook excellent meals for one without resorting to sandwiches. Instead of fretting about whether you are cooking too much food, why not do so on purpose? There are lots of dishes that freeze well, such as soups and stews. You can cook a large batch of a dish and divide the rest into single servings. Most dishes freeze well for up to two months do you don’t have to worry about getting bored with eating the same meal 5 days in a row! Don’t forget to write the date and what is in each package you freeze. Keep older meals in the front of the freezer and the new ones towards the back so you don’t end up eating food way past its due date. If you don’t have a freezer, don’t fret. 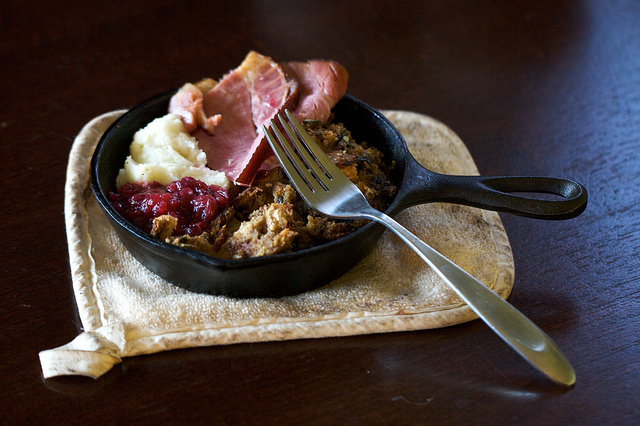 You can still cook in batches and get creative with the leftovers. That way you can have a variety of dishes without needing to spend hours in the kitchen. To use your leftovers to create other dishes, think about what can keep well for a few days in your fridge. For example, chicken is an excellent ingredient to get creative with. You can toss some chicken over a spinach salad, wrap leftover steak with some salsa and veggies in a tortilla, or even dice it up to make some fried rice. You can even think about using leftovers for different meals, such as using your steak stir fry from last night’s dinner into a delicious frittata for brunch the next morning. Feel free to experiment as much as you want. After all, you don’t have to please anyone else’s palette. You can combine ingredients and cook meals to suit your heart’s desire. Shopping for ingredients can be just as tricky as deciding what to cook because you wouldn’t want your food to end up being spoiled in the fridge. The best thing to do is to buy items in smaller amounts so you can keep track of what you have at home and have the freshest ingredients possible. Keep an eye out on sale items. It is always helpful to have some pre-packaged meals for when you are too busy to cook. Make sure these items can keep for a length of time, or else you’d end up wasting your money. Purchase dried goods such as rice, beans and oats from bulk bins. That way, you can buy as much as you want and store it in jars to ensure their freshness for longer. Other ingredients you can purchase from bulk bins include spices, nuts, and seeds. Opt for smaller canned and boxed goods when you can. While it might be tempting to purchase a bulk box of cereal because it’s on sale, you will most likely end up throwing most of it away. Most canned foods will need to be used up fairly quickly once opened, so unless you plan on cooking all of it at once, better play it safe than risk having it spoil. Canned and boxed foods that can spoil quickly include fish, broth, and fruit. When purchasing fresh foods, buy as often as your schedule allows. You are likely to finish those ingredients before it spoils in your fridge. If possible, try to purchase produce with a longer shelf life, such as peppers, onions and potatoes. Items that tend to spoil fairly quickly include soft cheeses, leafy vegetables, and meat. You can turn cooking into a social occasion if you invite friends over for a meal, or attending a potluck. Making enough food to share can be a great excuse to spend time with friends and make new ones. Think about inviting over people in the same situation as you and have them cook a part of the meal, such as the dessert. Cooking for one doesn’t have to be a chore. In fact it can be a fun and painless experience. Make sure you plan carefully, don’t go overboard when shopping for foods, and eat with others every once in a while. You don’t have to rely on slapping together sandwiches anymore, even if you do enjoy the occasional one. Hi Sarah, thanks for the post! I totally agree that cooking for one can be a chore, especially for busy professionals whose time is already scarce. And you’re right that cooking for others can liven up the experience, though it isn’t always possible. I actually created a meal planning service exclusively for singles and busy professionals struggling with cooking for one. It’s called Mealime (www.mealime.com) and is very popular with busy professionals. Just another way to solve the problem of cooking for one! That’s a really interesting service you offer! 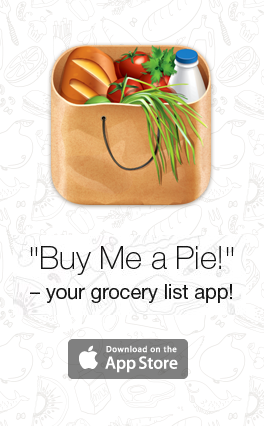 Could you please clarify how the shopping lists are sent to the phones – as SMS? Or does a user need some special application installed on the phone for that? Thanks! We’re 100% focused on simplicity for the busy professional, so once per week the grocery shopping list and meal plan is sent via email (with PDFs as links). They’re optimized to be viewed on mobile devices so there’s no printing, squinting, or ‘pinching’ needed! A mobile app is definitely on our roadmap but isn’t available quite yet. If you’re interested I’d be happy to send you a couple of meal plans. Email jeff [at] mealime [dot] com and let me know! I think people definitely think cooking is a chore, Sarah, and I don’t think they’re necessarily wrong! When someone doesn’t know where to begin, cooking can be a black hole of time consumption. And the major problem with cooking is that these people have to think about it every single day, making it a huge time waster if they don’t know what they’re doing.